The cable is compatible with all TV sets with a refresh rate сonversion of 1000Hz. The model boasts a full support for 3D TV and transmission of extreme HD resolutions up to 4096x2160 pixels at 24Hz. The cable is rather stiff to bend. 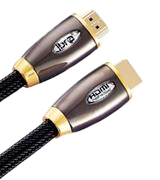 IBRA® HDMI Cable is made of oxygen-free copper that enables excellent audio and video transmission. Also, the selection of lengths is really wide. 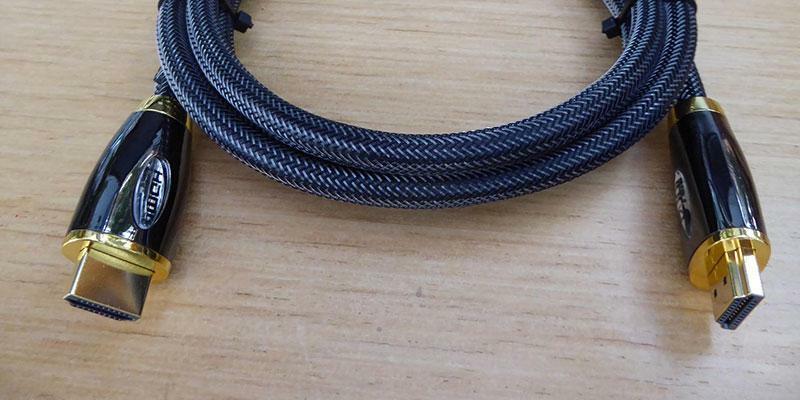 This fully shielded cable provides a reliable device-to-device connection without any interferences. The signal passes through the cable without any loss and distortion. Micro HDMI connector is easily confused with microUSB. With this HDMI cable, you'll be able to transfer audio and video from gadgets like camcorders and photo cameras, as well as some smartphone models to the TV screen in outstanding quality! This cable supports the aspect ratio of 21:9. Due to the CL2 rate, the cable supports an in-wall installation. Various lengths are available. One-directional cable, so it doesn't work as a DVI to HDMI cable. The cable offers a simple way to breathe new life into your old TV by turning it into a second monitor for your laptop. The cable incorporates an advanced special PVC outer and shield. These little elements work wonders preventing external interference, maintaining the integrity and purity of the digital signals. Plus, it's really strong, able to live through 3000+ cycles of a 90-degree bend. The connectors are a little stiff at first. Syncwire SW-HD032 is about as good as HDMI-to-HDMI cables get. It is robust, reliable, and rugged. 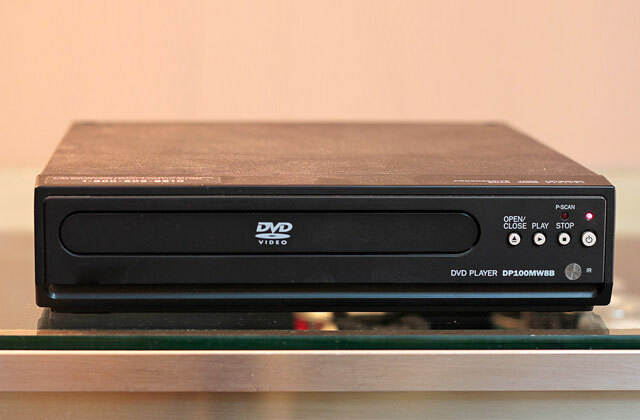 Under its rough exterior, however, you'll find sophisticated circuitry and quality engineering, everything required to transfer quality video and audio signals for years to come. 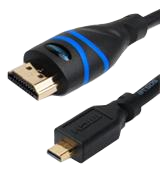 A PVC outer layer and gold-plated HDMI A Male to DVI Male connector ensure a reliable protection against RFI and EMI interference. Two locking screws guarantee the perfect connection. The DVI connector is a little too wide. 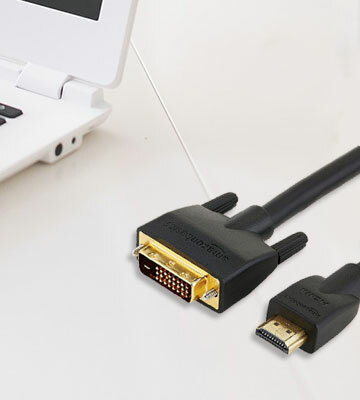 BlueRigger HDMI to DVI-D Cable will be an ideal solution if you need to connect an additional monitor to your laptop. Take advantage of two displays at a time! 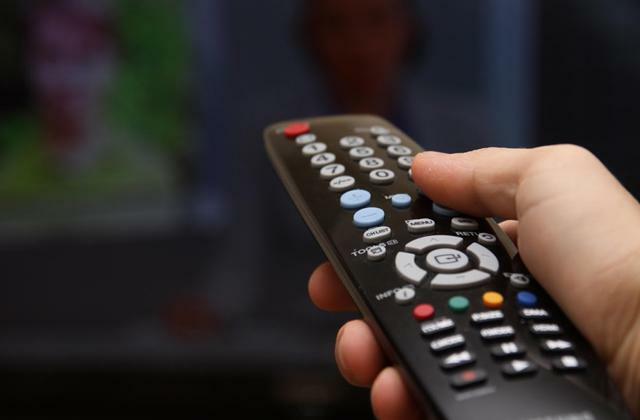 Now, TV sets come with a number of different connectors, however, the most important among them is an HDMI connector that provides several connections at a time. IBRA High Speed Cable is a standard version of HDMI cable that ensures reliable data transmission between devices. An important advantage of the model is that it's capable of working with different TV sets having a refresh rate сonversion of up to 1000Hz. The cable enables a lossless data transfer in flawless quality, its maximum possible resolution is 4096 х 2160 at 24 Hz. Not bad, isn't it? If you have got a 3D TV set, you also will be able to play back on its screen a video from an Ultra HD laptop. 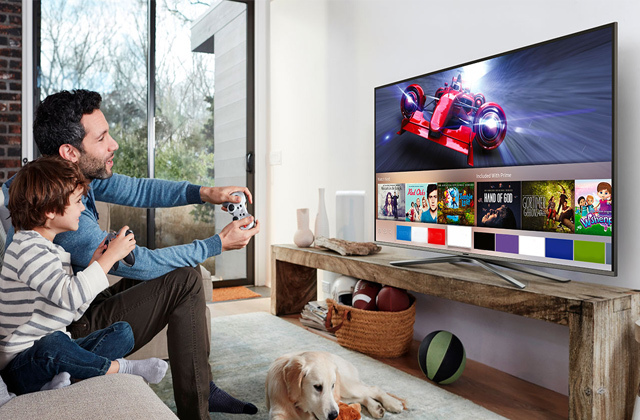 Additionally, if your devices are placed at a considerable distance from each other and there is no opportunity to connect them via a standard cable, take advantage of Wireless HDMI! Our smartphones are getting more and more sophisticated every year and now they can even record videos in ultra-high resolution and shoot sharp photos. 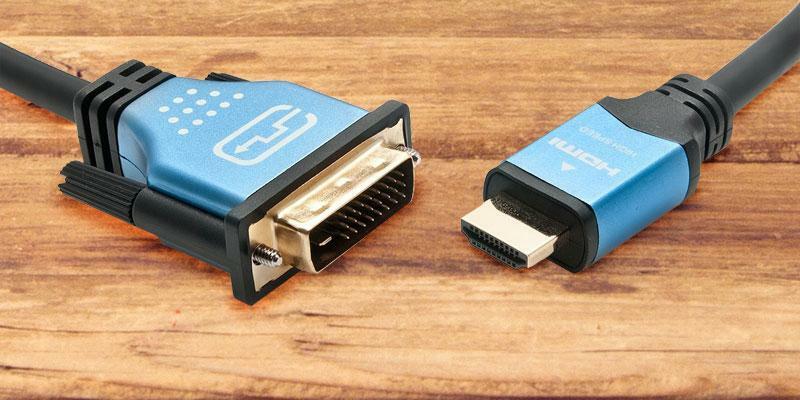 With BlueRigger micro HDMI to HDMI cable, you'll be able to share this content with your friends on a large screen of a TV set. BlueRigger cable is fully shielded and, therefore, completely protected against signal distortion. Gold-plated connectors provide enhanced corrosion protection as well as stable data transmission. Finally, don't forget that the manufacturer offers a limited lifetime warranty! Perfect choice! *Note that micro HDMI connector often found on tablets and cameras can be easily confused with a micro USB, so, the type of a connector your gadget is equipped with should be determined in advance. *Note that micro HDMI connector often found on tablets and cameras can be easily confused with a micro USB, please check the type of a connector your gadget is equipped with in advance.If you're fond of making photos, an additional SD card to store all exciting images is a great buy. 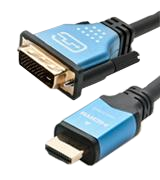 AmazonBasics produces a great variety of various connectors for different devices including old-fashioned DVI connectors like those found on many computer monitors. To connect your laptop to such monitor, you need an HDMI to DVI cable. With this adapter cable, you'll be able to connect one or more auxiliary monitors and get more from your gaming or video experience. Of course, the additional benefit is that the cable can connect even different gaming consoles such as PlayStation 3, or Xbox 360 to any monitor or TV set with a DVI interface. Wish to get the maximum fun from the game and maximize your video gaming experience? Then, you need this adapter cable! 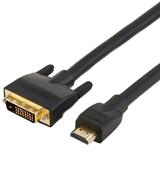 AmazonBasics HDMI to DVI Adapter Cable also features shielding and gold-plated connectors protecting it from corrosion, so there's nothing to worry about. Enjoy playing brand-new video games and watching the newest movies any time! Additionally, if your task is to transmit the audio signal from several sources simultaneously, you might need this digital optical audio splitter! 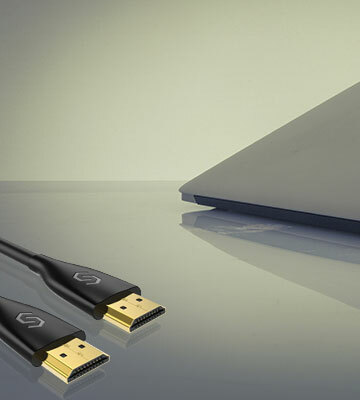 Syncwire SW-HD032 is a quality HDMI cable, nothing more and nothing less. For the most part, that quality stems from its components. The polished 24k gold-plated connectors are as reliable as they come. They do a good job eliminating as much signal loss and noise as possible. Generally speaking, metals are prone to corrosion. 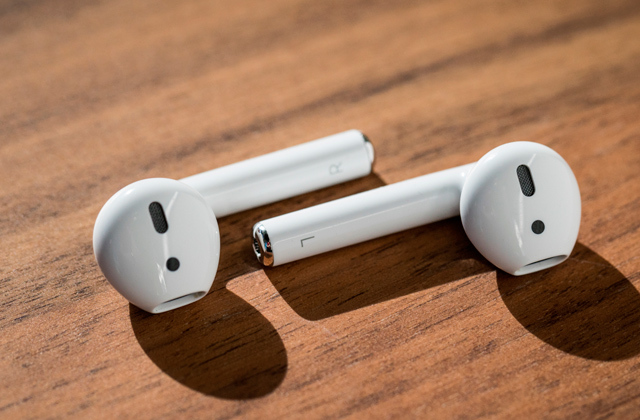 But the connectors have been designed with a corrosion-resistant substance, so you'll get years of outstanding audio and video quality. A good housing can make an HDMI cable as much as a bad one can break it. A good example of the former would be the model's advanced special PVC outer and shield. These little elements work wonders preventing external interference, maintaining the integrity and purity of the digital signals. All in all, the PVC is really strong, able to effortlessly live through 3000+ cycles of a 90-degree bend. As far as the technical part of the equation is concerned, this is more or less your standard 2.0 HDMI cable. Compared to the previous iteration of this standard, 2.0 extends the bandwidth up to 18 gigabytes per second. 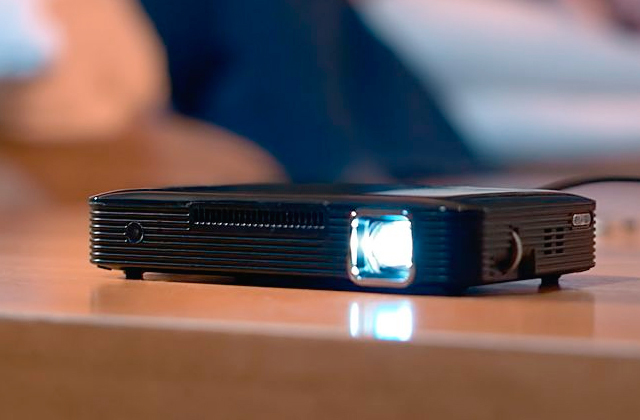 It supports the ultra HD 4K resolution and is able to transmit footage up to 60 Hz. In short, Syncwire SW-HD032 is about as good as HDMI-to-HDMI cables get. It is robust, reliable, and rugged. Under its rough exterior, however, you'll find sophisticated circuitry and quality engineering, everything required to transfer quality video and audio signals for years to come. People who work with a computer or laptop sometimes need a solution to extend their desktop onto an additional monitor. BlueRigger HDMI to DVI-D Dual Link Cable is definitely the best option in such cases! 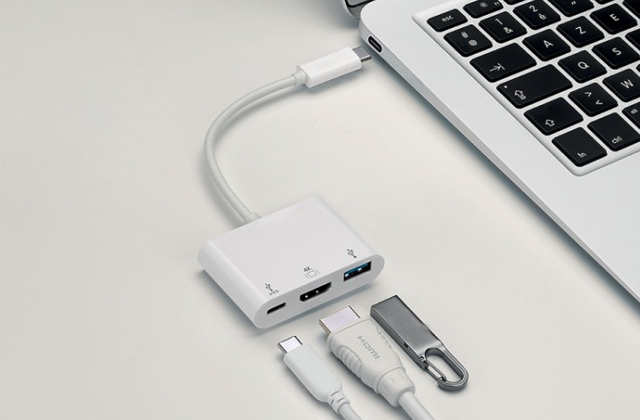 All you need to do is connect one end of the cable to the laptop while the other one— to an external monitor. Gold-plated connectors provide extra protection against RFI & EMI interference. To ensure a reliable connection, the cable comes with two locking screws. 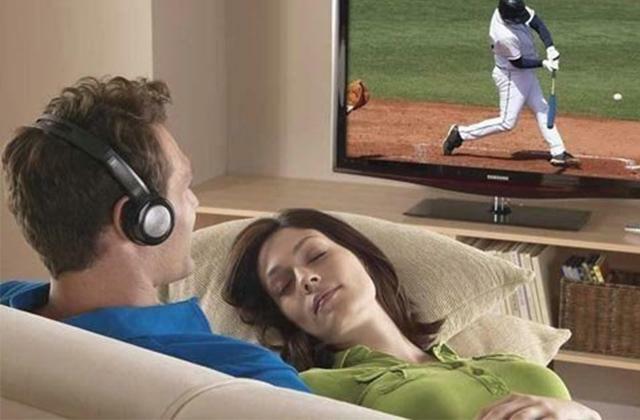 The HDMI cable handles a transmission of videos with a resolution of 1080p. 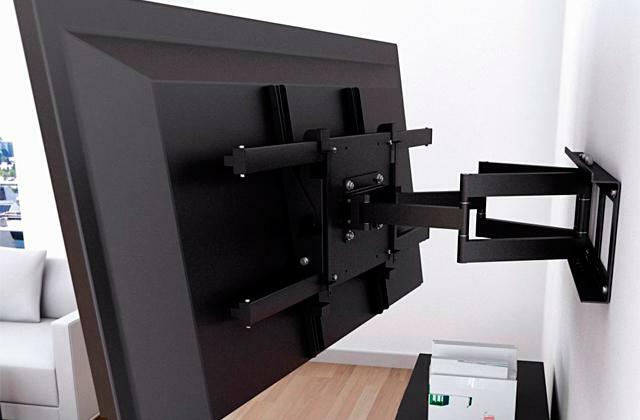 It has a length of 1.8m, quite enough to position an external monitor comfortably. Many people find it much easier to concentrate on work with a background music. 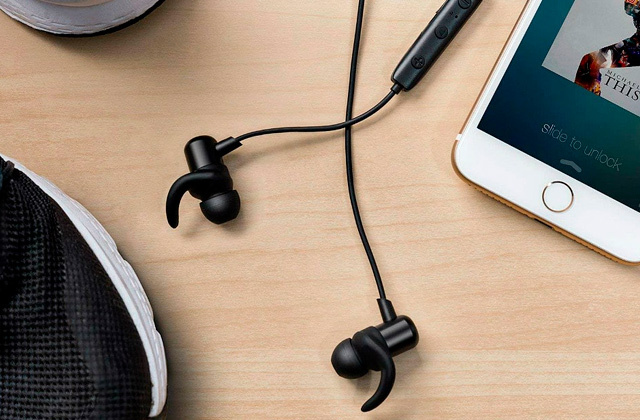 Take advantage of over-ear headphones! An HDMI cable is used for transmission of high-quality video and sound signals from one device to another. 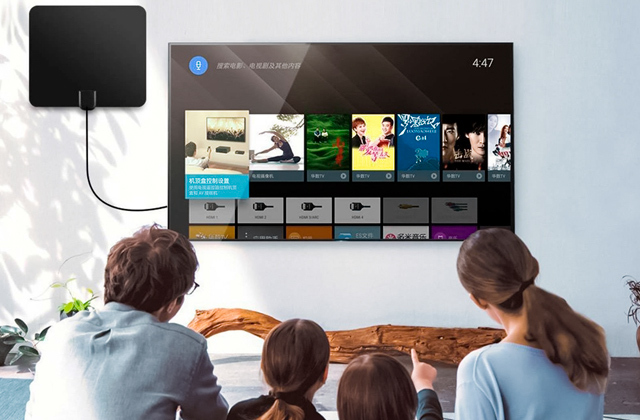 HDMI interface is a worldwide standard, so when it comes to such HD devices as TV sets, Blu-ray players, AV receivers, etc, they all have at least one HDMI port. 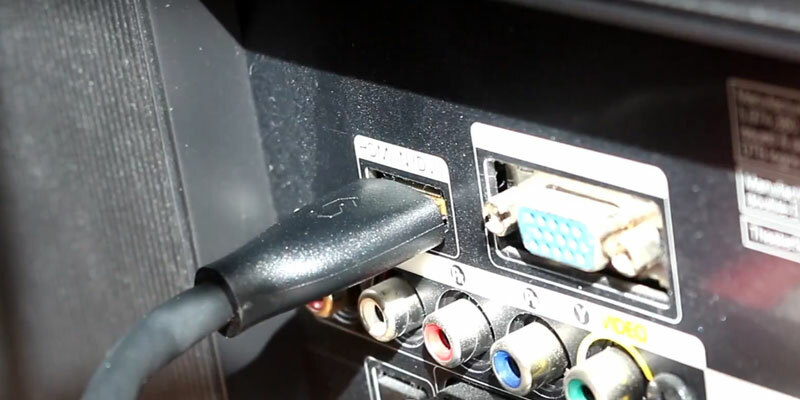 As some of you are probably aware at this point, HDMI is the only modern-day HD standard that is capable of transferring both high-quality audio and video. The combination of both signals in a single cable saves a lot of space and makes the use of such cable very simple. It’s also worth noting that HDMI cables don’t compress audio signal, so you'll get the purest sound along with the superb picture. 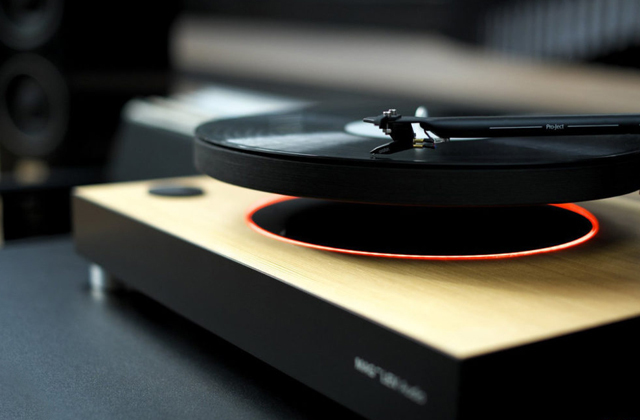 If you want to get the maximum audio performance, look through our review on stereo receivers and find the perfect one which will enhance your entertainment experience. And if you have an obsolete TV, think of getting one of big screen LED TV from our review. Unfortunately, there is no versatile HDMI cable compatible with each and every electronic device. 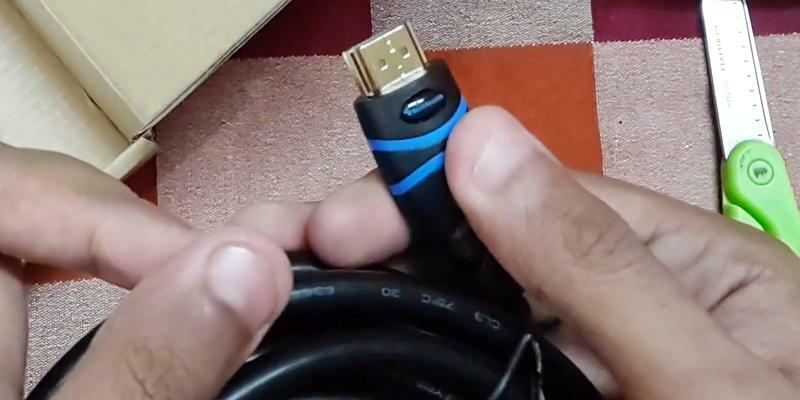 That’s why the very first thing you should do before purchasing an HDMI cable is to decide on the exact connection type. 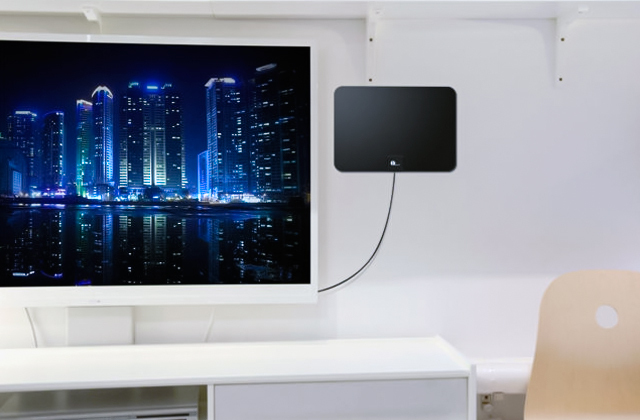 For instance, if you wish to connect an external monitor to your laptop, you can’t use the same cable to connect your smartphone to a TV set and show your family all those amazing pictures you took during your last vacation. 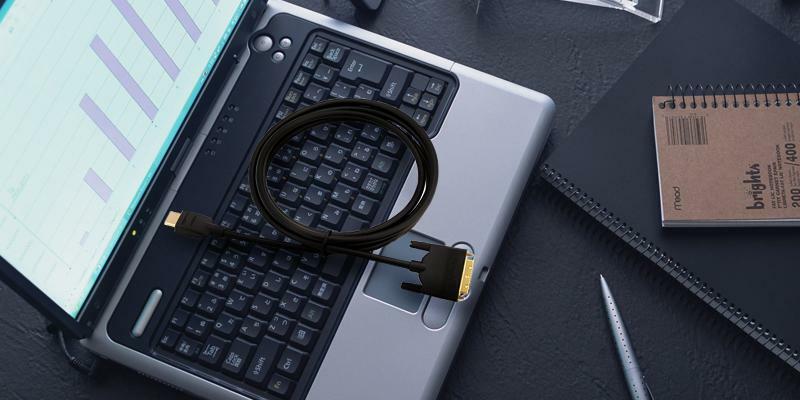 To accomplish these two tasks, you need to use two absolutely different cables. So, be sure to check interfaces of the devices you want to connect. 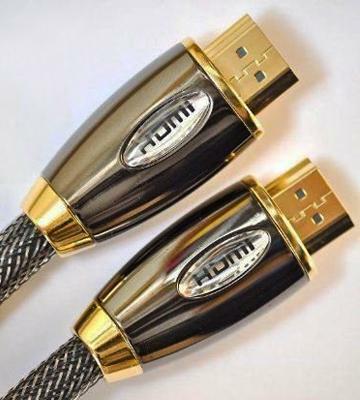 There are two types of HDMI cable – standard and high-speed. A standard HDMI cable has a bandwidth sufficient to transfer 1080i and 720p video signals. But if you’re planning to transmit 1080p videos, you need a high-speed cable which can handle even a 4K video signal. To be sure you’re getting the maximum bandwidth, give preference to fully shielded cables which prevent even the smallest interferences. Also, pay attention to the cable’s length. You’d better not use long cables if there is no necessity for it since the length is directly proportional to video and sound quality deterioration. 1. Geoffrey Morrison HDMI cable buying guide, CNET. December 15, 2013. 2. Shane Weaver What Makes a Good HDMI Cable? CableOrganizer. 3. 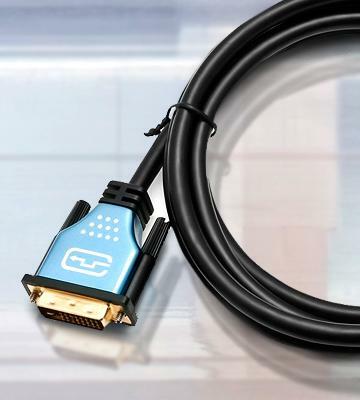 Steve Kindig HDMI cables buying guide, Crutchfield. September 27, 2016. 4. 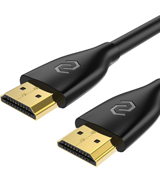 Simon Hill Are expensive HDMI cables worth buying? Digital Trends. March 1, 2015. 5. 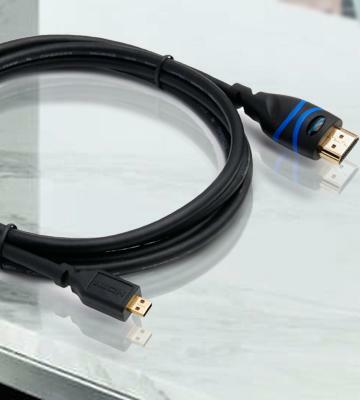 Lincoln Spector The secret to buying a good HDMI cable: They're all good, TechHive. March 7, 2013.